At Southglade Primary and Nursery School the governors and staff fully recognise the contribution the school makes to safeguarding children. We recognise that the safety and protection of all pupils is of paramount importance and that all staff, including volunteers, have a full and active part to play in providing early help protecting pupils from harm. We believe that the school should provide a caring, positive, safe and stimulating environment which promotes all pupils’ social, physical, emotional and moral development. In delivering this ambition we will adhere to the principles set out in Nottingham’s Family Support Strategy and NCSCB Policy, Procedures and Practice Guidance. Ultimately, effective safeguarding of children can only be achieved by putting children at the centre of the system, and by every individual and agency playing their full part, working together to meet the needs of our most vulnerable children, in line with the School's Safeguarding policy, Working Together to Safeguard Children September 2018 and Keeping Children Safe in Education July 2018. We cannot promise children that we will keep secrets. It is all of our responsibility to keep our children safe. We must all follow the safeguarding policy. At Southglade Primary and Nursery School we take our joint responsibility with parents to keep our children safe very seriously. As a result, we have produced this part of the website, that has videos and links that will help children learn and remind themselves about how to stay safe, plus give useful links to parents about how they can they support their children. 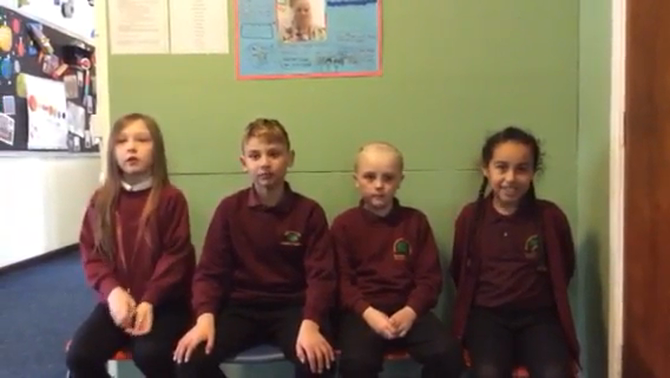 We have been teaching our children to keep safe, and the children have produced these videos to remind ourselves on how to stay safe. 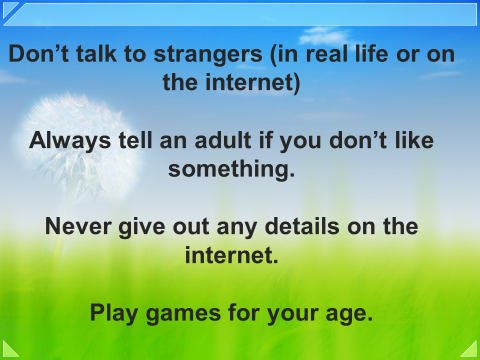 The NSPCC have produced this guide for parents on simple conversations to keep your child safe. There is also this guide that has been produced to help parents and carers in knowing how to keep their child safe online. In addition to this, the following letter was sent out in February 2017 from Councillor Mellen, with a leaflet attached which gives advice to parents/carers on how to discuss E-Safety with their children. At Southglade we know the PANTS rule. 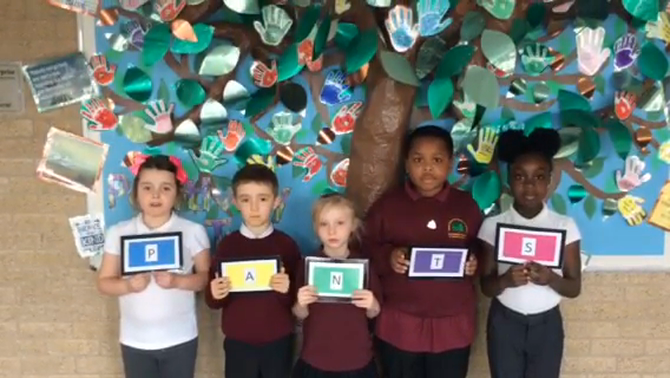 Watch Year 2's brilliant video to find out more! Our Year Fours have created a video about stranger danger.